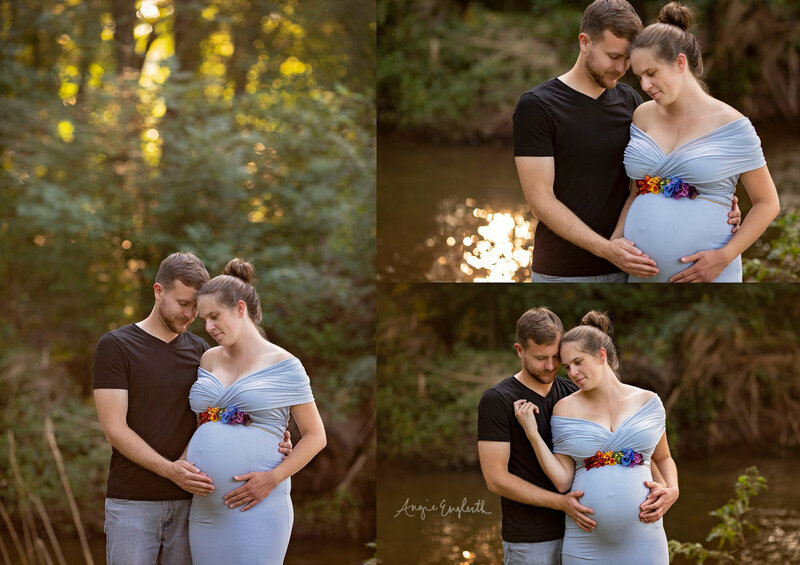 Chelsea and Isaac came in for their maternity session on one of the hottest days of the summer. I mean, it was HOT! We did one gown outdoors on location and then moved to the studio for some relief! 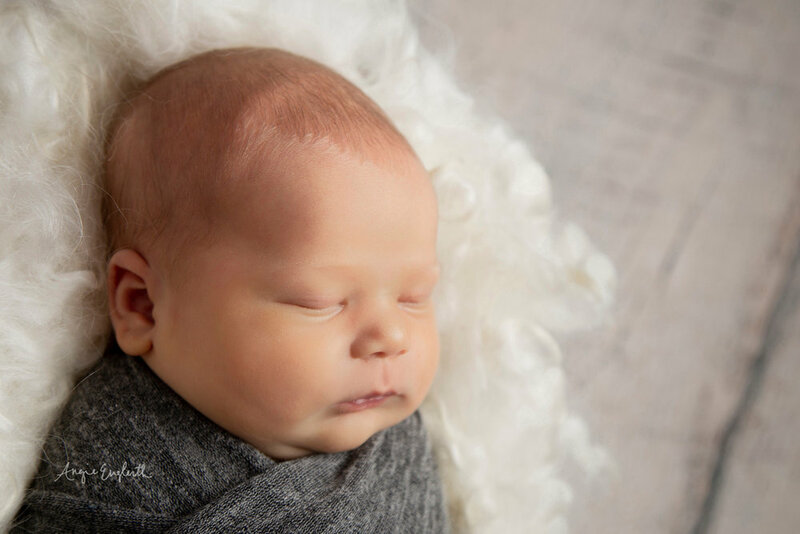 Fast forward a few weeks to when Cody arrived and we had an awesome newborn session with him! Here's a little Q&A I had with Chelsea and then some of our favorite images from both sessions. Enjoy! How did you hear about AEP? I have known Angie for many years, and have followed her since she first started her business. 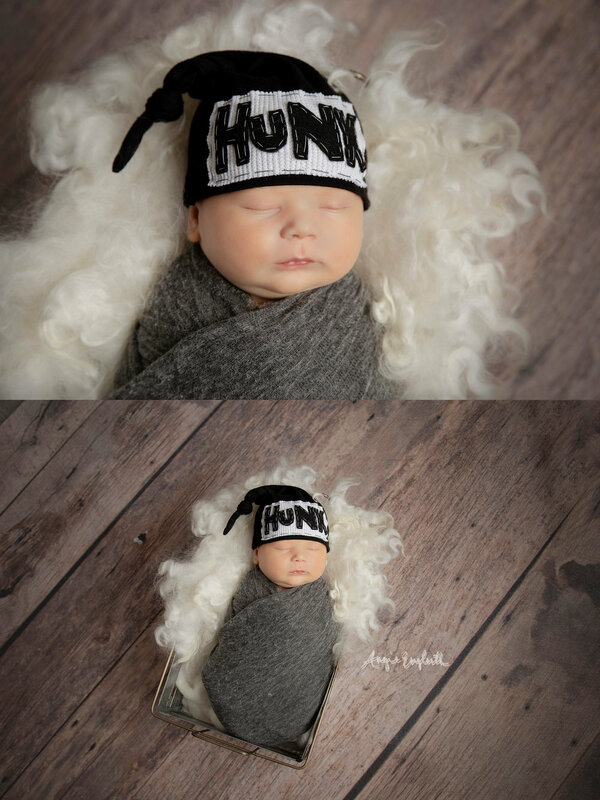 I always knew that one day when I had children, I would want her to do their newborn photos. What is your baby's name? 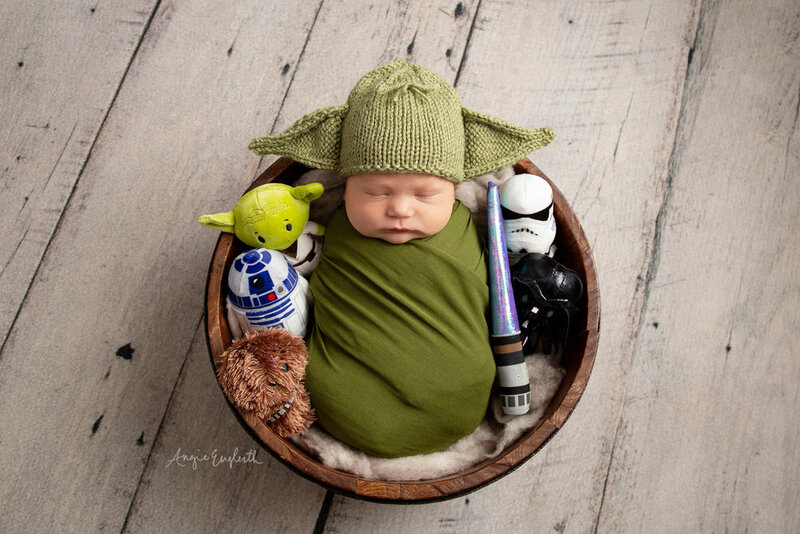 Any birth stats you'd like to share? Please tell me some small details of your birthing process. When did you go into labor? Time of birth? Who all was at the hospital with you? It was a dark and rainy night- or early morning might be more accurate. We went to the hospital about 1:30 am, and Cody was born at 1:55pm. My husband was the only one in the room with me when he was born, but my parents came to wait in the lobby. Cody was born on National Grandparents Day, and he is my parents' first grandchild- they were too excited to wait at home. I couldn't believe that he was finally here! For so many months, I'd wondered what he would look like, and what he would be like. I watched my stomach move and tried to picture him. When I first saw him, I thought he was just perfect. My favorite part was seeing how Angie worked with Cody to keep him calm and comfortable during the shoot. She spent time shushing him and wrapping him, and you could tell she really cared about making it a good experience for all of us. Do you have a favorite image from your session? Was there any favorite setups or props used? I loved all the images, but I think my favorite is the one that Angie took of Cody and our puppy Shepard. She made sure that we could get the shot safely and she did an amazing job with the composite picture. I didn't really need to do much to prepare. I filled out the online survey about what colors/themes we were interested in. I wasn't nervous, because I have seen Angie's work before, and knew she would do a great job- and she did! The pictures turned out great. Take the time to think through if there is a specific shot or outfit you really want captured. You don't want to miss out on getting that one picture that you really wanted. Do you have other children? 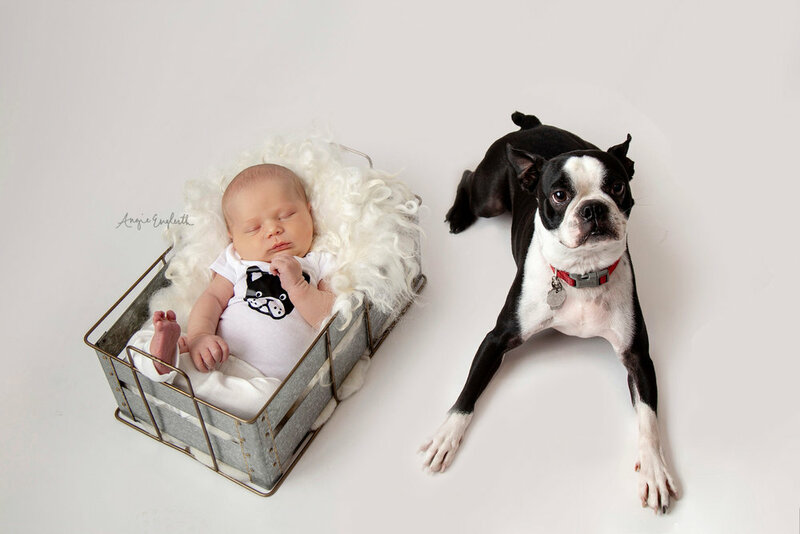 How do they react to the new baby? Feel free to share a little about them here. No other children, just our puppy, Shepard. He is very interested in his "little brother." Every time Cody makes a noise, Shepard's ears perk up, and he goes over to make sure the baby's okay. It's really cute how interested and caring he is. We had Shepard for 3 years before Cody was born, so it was important to us to have a picture of them both, since Shep is also part of the family. Anything else you'd like to add about your session and final images?